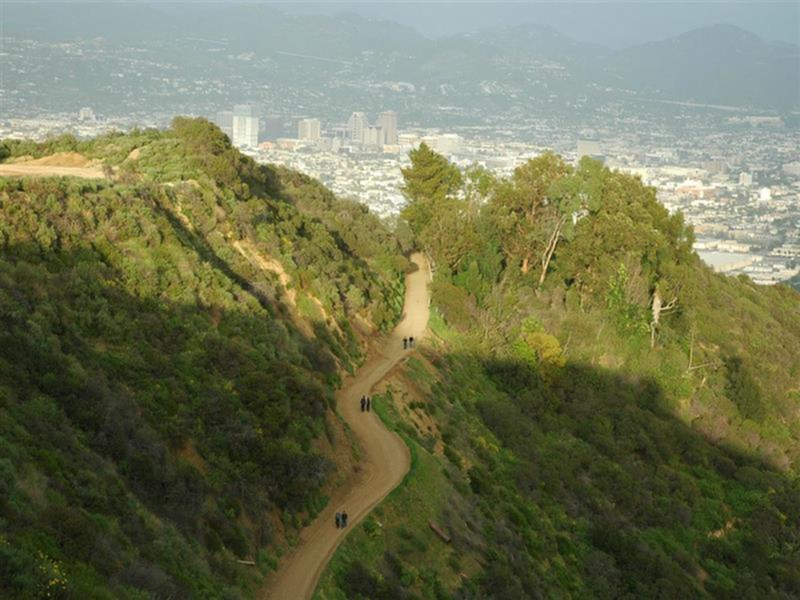 Griffith Park has trail options galore! This large urban park is a great place for those looking for a tough workout or a family stroll. Varies, depending on which trail(s) you get on. Varies, depending on which trail(s) you get on, but plan for at least a couple hours here! 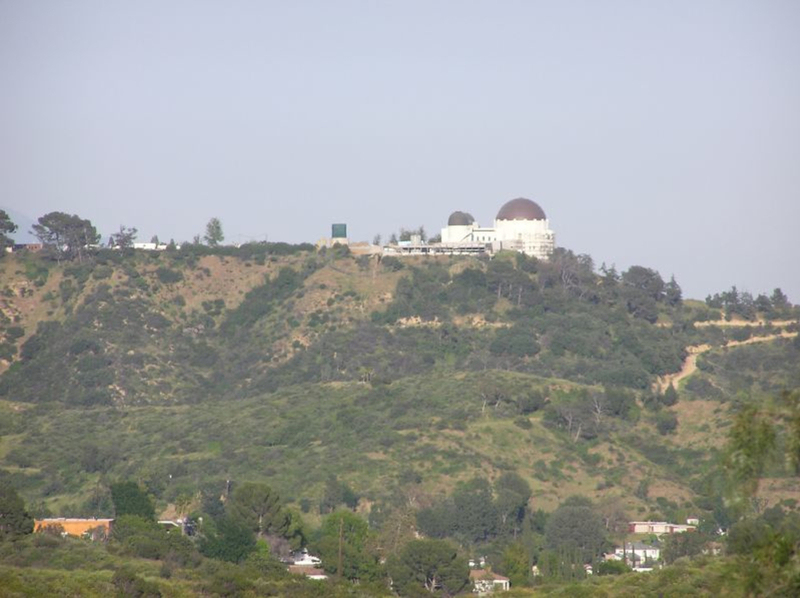 Griffith Park is one of the largest urban parks in North America. With 4,300-acres and 53-miles of trails (from short and easy to long and hard), it's the perfect destination for all hiking enthusiasts. There's something for everyone here - iconic landmarks like the Griffith Observatory and Hollywood Sign, breathtaking views of the LA city skyline and Pacific Ocean, and plenty of ups and downs for those looking for a quality workout. The bottom line is that you've got plenty of options at Griffith Park, and it would be quite a feat if you were able to get bored here. The Bee Rock Trail loop can get confusing, but if you're able to figure it out, you won't be disappointed. Begin at Bee Rock Trail, which can be accessed near the Old Zoo Trail or the Merry-Go-Round. After passing by the protruding Bee Rock, you will gain access to Vista Del Valle Road, which will take you to the "Vista View Point." From here, you will be rewarded with an excellent view of LA down below. After you've soaked in the view for a few moments, take the Hogback Trail along the East Ridge of the park, over several hilltops. You'll see that the trail is very eroded in several places along this stretch, so try to stay on the trail and beware of loose and steep terrain. After you pass Dante's Point (another nice place to rest and take in a view), you'll reach the legendary Mt. Hollywood. On a clear day, you'll not only receive nice views of the observatory and sprawling city but also of the Pacific Ocean glimmering in the distance. For the final leg of this scenic route, take the trail north to the summit of Mt. Bell, where you will then drop back down and recross Vista Del Valle Road and continue on the Mt. Hollywood Trail until in joins the North Trail, follow this trail until it reaches Mineral Wells Trail and subsequently meets back up with the Bee Rock Trail, where you began.... Got that? If not, no worries really. It's more than okay to get a little lost on these trails; it's part of the adventure. You can easily create your own personalized route. If you do want something a little more organized, however, the Mt. Hollywood Trail by itself is a good option. This loop trail to the summit of Mt. Hollywood is a little less than 4-miles, with about 800ft in elevation gain. It can be quite steep and challenging at times, but the trail condition is very good, well maintained, and well marked. This route is usually less crowded than other routes in Griffith Park, so if you're looking for a nice escape from the urban hustle and bustle, this is a good option. There are also several rugged spur trails, which give more experienced hikers and runners the option to challenge themselves even further. Fern Canyon Nature Trail is a fairly steep .25-mile trail that is great for the family. Though it's short, this trail is still pretty unique and scenic. You'll find yourself winding through a diverse range of ferns, flowers, and tropical plants, under the cool shade of California sycamore trees. This trail is easily accessible from Griffith Park's Merry-Go-Round parking lots, and can be joined with other nearby trails such as the Old Zoo Trail, which is another nice and easy family hike. Another really nice family friendly hike with plenty of cool history for the kids is the Bronson Caves Trail. Bronson Cave has long been a favorite Hollywood filming destination and even served as the Bat Cave for the 1960’s Batman television show. The trail here is an easy 2/3-mile hike with only 50 ft of elevation gain. After a quarter mile you will arrive at the 100ft long cave, which is actually a tunnel that was built for access to the Brush Canyon Quarry during the turn of the 20th century. The short cave is easily accessible and no lights are needed to explore. When you return to the trail you will have a good view of the Hollywood sign. Bikes are not permitted on this trail and dogs must be kept on leash. You can't go wrong with Griffith Park. 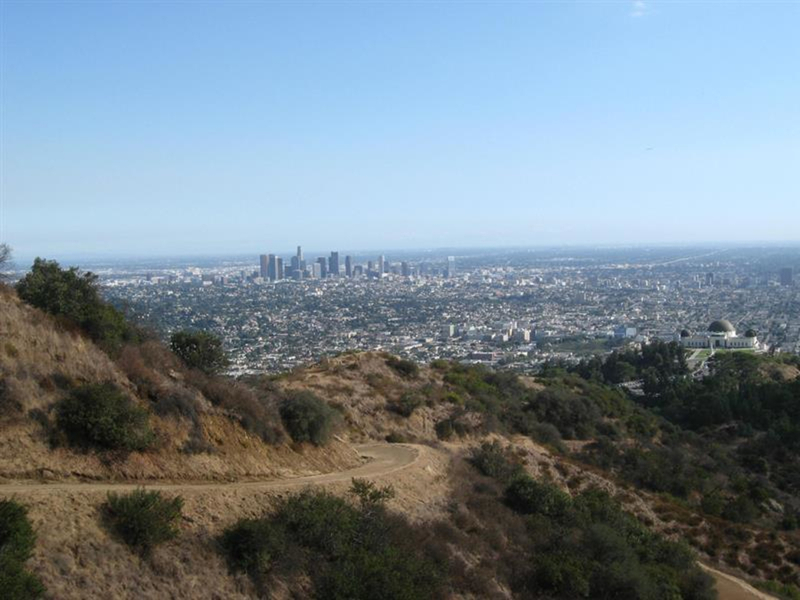 No matter what kind of hike or run you're interested in completing- whether it's a long loop or short family jaunt- Griffith Park is the go-to destination. Griffith Park is located at 4730 Crystal Springs Drive.